Source: Frontline Hospitality and Restaurant Association of NZ, 2018. Chances of getting a job as a chef are good due to a shortage of workers. Pay for chefs depends on the size, type and location of the establishment they work in, and the position they hold. Apprentice chefs usually earn minimum wage to $37,000 a year. Commis chefs usually earn $37,000 to $48,000. Chefs de partie usually earn $48,000 to $58,000. Sous chefs usually earn $55,000 to $65,000. Head/executive chefs can earn $65,000 to $100,000. Sources: Frontline Hospitality, 'Frontline Hospitality Salary Guide 2018', 2018; and Restaurant Association of New Zealand, '2017 Remuneration Survey Results', 2017.
knowledge of new developments in food nutrition, food technology and cooking methods. sometimes travel to food festivals and events, or to attend cooking competitions. What’s a typical day like for you as a chef? "First thing in the morning I make morning tea for 220 people, and then I have to pull lunch together. We’ve mostly prepped the main stuff the day before, so it’s just finishing off, cooking all the vegetables and making a dessert. At the end of the day I process the ordering for the next day. "On occasion we do fine dining, cocktail parties and special events, which I really enjoy." "I consider myself extremely lucky because I work Monday to Friday, 8 to 5. It’s certainly a perk of working in a retirement village, and I am thankful for these hours. You work rostered shifts without the expectations of excessive hours. Quite often in restaurants or cafes you are expected to do split shifts, but we don't have to do that here." "Back in the day I got a lucky break working at a catering company. Although I have no official training or papers to prove my experience, the catering company taught me everything I needed to know. 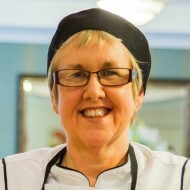 "I worked my way up through the ranks to kitchen manager. I’ve been to Spain and worked for the America’s Cup, and I got to go to Shanghai for the World Trade Fair. Fantastic times." I’m a chef here at The Village in Patumahoe. I’ve been cheffing for four years now and I’ve just recently finished my apprenticeship. My hospitality teacher got me really interested in cooking. I liked it and I was good at it. I then started competing and seeing what blending flavours could do to a dish. That all opened my eyes and I really wanted to become a chef. In my opinion, on-job training works better because I learn from excellent chefs, I learnt how to cook different varieties of food, when you study in the kitchen and you get paid for it. The other thing is I get to see the customers eat my food and I get to see the reaction on their face. If they like it then I did my job. And what makes me most proud is that I made my family proud, my friends proud. If you want to become a chef it’s best to study in school, get a job in the kitchen, any job, you start from a kitchen hand and work your way up, become an apprentice. It’s the best way to learn on the job. What I really want to do with my career is open up my own restaurant and I’d call it The Slammin’ Salmon. I’m Ashley Wade, I’m a chef at The Village Kitchen. I’ve got a trade and I’ve got it made. one-year, full-time New Zealand Certificate in Hospitality (Cookery) – Level 4. You can also train to be a chef with the NZ Army or Royal NZ Navy. There are no specific secondary education requirements for this job, but home economics (food and nutrition) and NCEA Level 1 numeracy and literacy credits are useful. good at communicating and managing people. As a chef, you need to have attention to detail and you have to show initiative. Chefs need to have a good sense of taste and smell. They also need to have a reasonable level of strength, fitness and stamina as they often have to carry heavy items, such as bulk ingredients, and spend long hours on their feet. chefs moving overseas, where they can earn more. As a result, chef appears on Immigration New Zealand's long-term skill shortage list. This means the Government is actively encouraging skilled chefs from overseas to work in New Zealand. Bamber, I, special projects manager, Wellington Hospitality Group, careers.govt.nz interview, July 2018. Blues, H, president, NZChefs, careers.govt.nz interview, September 2018. Harris, C, 'Shortage of Retail and Restaurant Workers Becoming Acute', 19 February 2017, (www.stuff.co.nz). Reidy, M, 'Lack of Staff Mounts Pressure on Depressed Chefs', 6 May 2018, (www.stuff.co.nz). Waldren, N, general manager, Restaurant Association of New Zealand, careers.govt.nz interview, September 2018. Commis chefs work in all areas of the kitchen. They prepare and cook food, and may also wash dishes and clean the kitchen area. Chefs de partie are in charge of one section of the kitchen such as fish or pastry. They train and supervise staff in their sections, and may plan menus, and buy food and equipment. Sous chefs are second-in-charge, and manage the kitchen in the absence of the head chef. 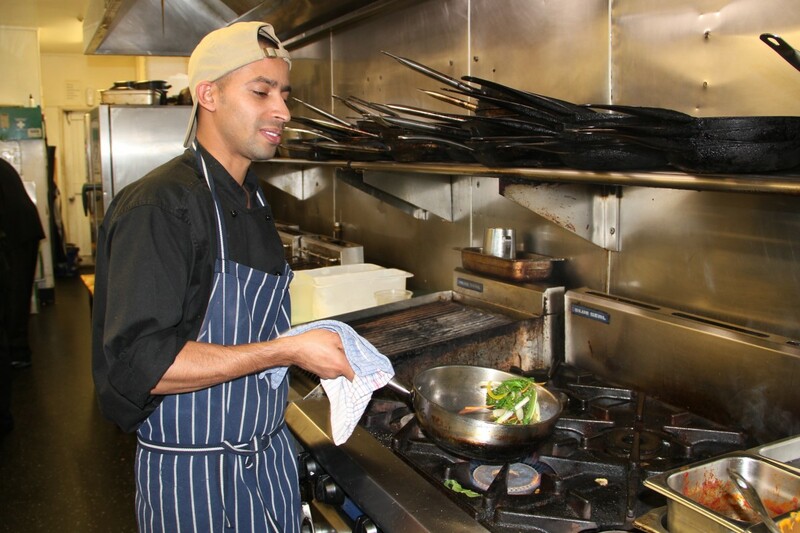 Head/executive chefs are responsible for the whole kitchen, including staff management, budgets and menus. Chefs may specialise in different cuisines such as French or Japanese. Cooks prepare, cook and serve food. They work in cafes, bars, fast food outlets or for caterers. Waiters/waitresses serve food and drinks in restaurants, hotels, clubs and other eating places. Cafe/restaurant managers are in charge of running cafes, restaurants and fast food outlets. They may also run catering businesses. Kitchenhands wash dishes and clean the kitchen and serving areas in eating places. They may also help kitchen staff prepare food.